When your Pepper Mews Beard Oil arrives, it will be clear you ordered the perfect beard grooming treatment. Say goodbye to dry, flaky skin, unruly facial hair, itchy skin under your beard & not so fresh beard smell ; Say welcome to a well-groomed, conditioned healthy itch-free beard that looks and feels fantastic. Say “yes” to a styled, bountiful and manly beard brings you to a sophisticated, new look and pleasant smell. Feel the organic oils between your hands before rubbing it through your beard and thoroughly conditioning your damaged facial hair and dried skin beneath the beard. When applying the beard oil, notice how lightweight it is & how quickly it absorbs into your hair & skin. 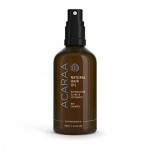 The non-greasy formula gets incredible hydrating and revitalizing results. You will soon see your skin and beard transform. Dry skin will become smooth & supple, unruly facial hair will be groomed and stylish & any unpleasant odors or itchy feeling will disappear leaving a sophisticated and rugged new look. We formulated the perfect blend of natural ingredients (Grapeseed Oil, Jojoba Oil, Sunflower Oil, Safflower Oil, Apricot Kernel Oil). And, we ensure our superior oil will hydrate, nourish and heal your skin and beard. Order now & consider getting 2 bottles, 1 for you & 1 as a holiday present for someone special. GET YOUR BEARD READY FOR FALL WITH A PREMIUM BEARD OIL AND CONDITIONER; Condition & Groom your Beard, Stop Facial Skin Itching and Beard Dandruff, Reduce Acne, Moisturise Facial Hair and Skin, Assist with Beard Styling. Reduce Split Ends and Hair Breakage, Help Grow Thicker, Fuller Facial Hair. All these Benefits in One Multi-Purpose Beard Oil Product. You Deserve the Best Beard Oil Blend on the Market. Order Today for a Bountiful, Manly Beard. ORGANIC, NATURAL & CRUELTY-FREE: Our Proven Beard Oil (Better than Beard Balm) Uses 100% Pure Grapeseed Oil, Jojoba Oil, Safflower Oil, Sunflower Oil, Apricot Kernel Oil. Our Oil Blend is Paraben-Free & Gluten-Free. SMART PACKAGING: Opaque Eye Dropper Bottle Stabilizes Oils and Increases their Shelf Life, while Eye Dropper Dispenser Makes Using the Superior Oil Blend Easy and Mess – Free. Thousands of Satisfied Customers. 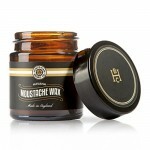 You Deserve the Next Level of a Sophisticated, Well-Groomed, Itch – Free, Pleasant Smelling, Full, Rugged Beard. VERSATILE: Perfect for all Skin Types including Sensitive, Oily and Dry Skin.